The creation of the world’s first carbon-free development, incorporating 10,000 dwellings, commercial outlets, public facilities and more than 2,200 boat moorings, making it one of the largest marina developments in the Southern Hemisphere and potentially the most visionary and spectacular concept development project to be undertaken in Western Australia. 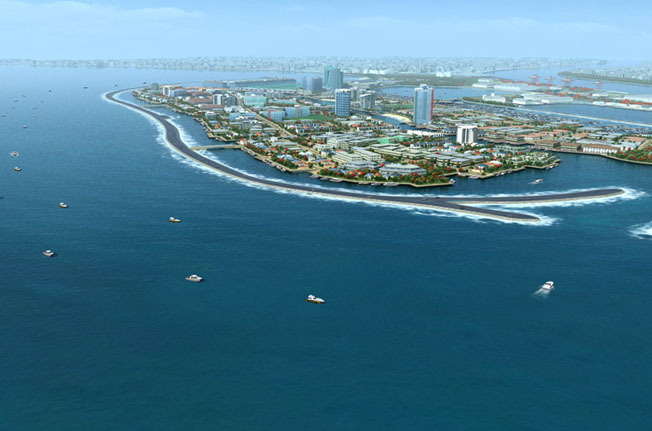 The design concept includes “future-proofing” the development against rising sea levels and 100-year storm events by a 3.5km, 5m high breakwater. The creation of carbon-free development built out of environmentally-friendly construction materials, which would be shipped down the coast by barge to reduce transportation-related emissions. Subject to approval, North Port Quay is proposed to be a self-sustainable port-city community built on reclaimed seabed adjacent to the bustling port of Fremantle in Western Australia. Anticipated project outcomes include providing long-awaited facilities for WA’s substantial boating community, North Port Quay would incorporate 80 per cent public access, provide premium and affordable housing, community amenities and generate substantial economic and tourist benefits for the people of Fremantle and the State of Western Australia.